Dean & Britta at Celebrate Brooklyn! On August 1, Dean & Britta are playing a free show at Celebrate Brooklyn! with Crystal Stilts opening. 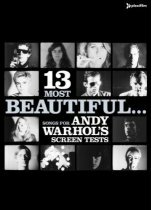 Dean and Britta’s set will consist of their newly created scores to Andy Warhol’s screen tests. The screen tests feature rarely seen black and white silent film portraits of Factory superstars, celebrities and anonymous teenagers. Subjects include Nico, Lou Reed, Edie Sedgwick, Dennis Hopper, and more. Shot between 1964 and 1966 at Warhol’s Factory in NYC, these screen tests will be presented on NYC’s largest outdoor film screen with newly commissioned soundtracks performed by Dean Wareham and Britta Phillips (formerly of Luna and currently recording as Dean & Britta). After the show, The Bell House will be hosting the official “Screen Tests” after party with special DJ sets, drink specials, and (I’m guessing) Dean & Britta. A few days after the Celebrate Brooklyn! 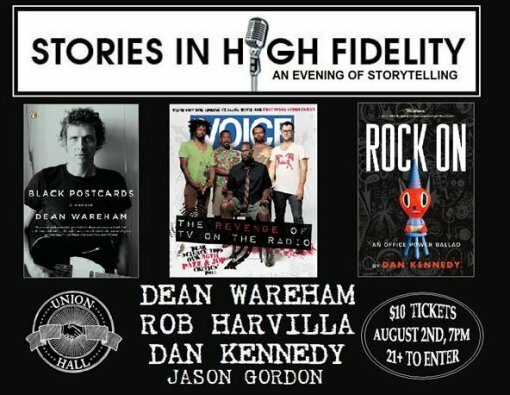 gig (Aug 4), Dean Wareham will be appearing at Union Hall as part of the Stories In High Fidelity reading series along with Rob Harvilla of the Village Voice, the author Dan Kennedy, and Mr. SIHF himself, Jason Gordon (Buy Tickets). Finally, (and perhaps most significantly for some), the first three Galaxie 500 albums, Today, On Fire, and This Is Our Music are now available on vinyl and as high quality digital downloads at fierybreeze.com or Damon and Naomi’s website. Vinyl editions are remastered by Alan Douches and Kramer at West West Side Music, cut by Kevin Gray at AcousTech, pressed to virgin vinyl at RTI, and packaged in old-fashioned tip-on style jackets at Stoughton. T-shirts are Fruit of the Loom. In the 80s, that’s all there was. Videos are 480×320 mp4 files, and are compatible with iPods and iPhones. Individual LPs are available from Damon & Naomi’s website for $15 per album + shipping. You can also buy packages containing the vinyl and including downloads either as mp3 or Apple lossless. A Galaxie 500 video, Damon & Naomi mp3, and a flyer for the Stories in High Fidelity reading series after the jump.